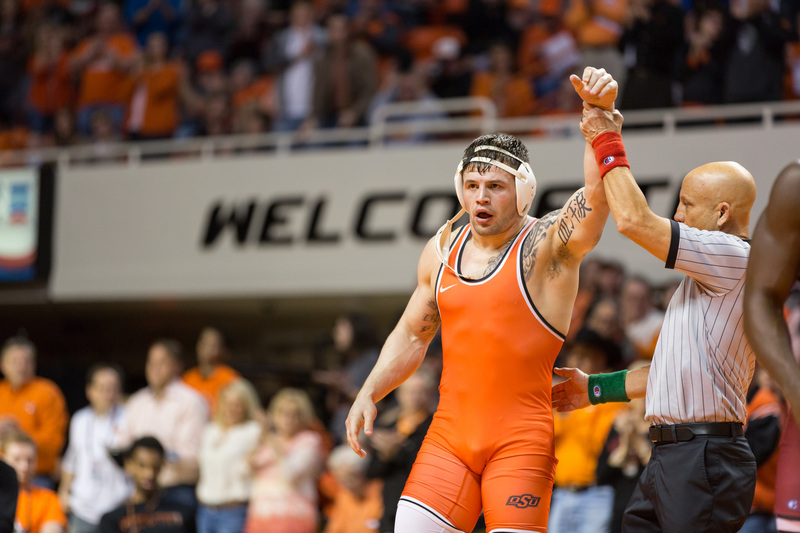 Former OSU wrestler and welterweight MMA prospect Kyle Crutchmer moved to 4-0 in his MMA career with a unanimous decision over Josh Weston last weekend. In the first fight of Crutchmer’s career to go the distance, he controlled the first round comfortably. They stood and exchanged shots for a short time then Crutchmer took Weston down and worked his ground and pound for the rest of the round, nearly hooking up submissions a few times. The second round looked a lot like the first. After the two fighters exchanged punches for a bit, Crutchmer used his high level wrestling to secure another takedown and pound away at Weston for most of the rest of the round. The fighters were stood up for a bit when Crutchmer picked up another take down and held Weston for the rest of the round. In the final round Crutchmer picked up this final take down and went back to his ground and pound for the rest of the fight which ultimately landed him with a unanimous decision.